Goa’s House of Lloyd is now open in Mumbai. It replaces Porto & Poie, a Goan restaurant that had a brief stint in Juhu. We have to admit, we were a little sad upon learning that Porto & Poie had shut shop after a very brief rendezvous with the city. It was breezy, served good food and had its heart in the right place. But, the city moves on fast. Almost a month after, we now have House of Lloyd making an appearance at Juhu Tara Road. 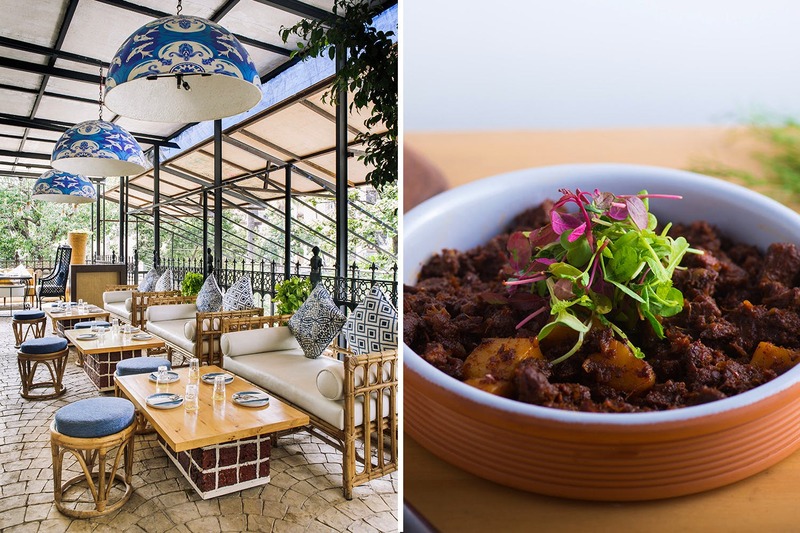 The coveted Goan eatery has Lloyd and Nerissa Braganza at the helm – the duo who gave Candolim House of Llyod, located in a 150-year-old bungalow. HoL had retained the blue-and-white azulejo tiles and the al fresco bar and has spurts of Goa splattered across. Whether it’s the Mario Miranda illustrations or black and white pictures from an era gone by, they have tried to make that connection visually. The menu is quintessentially Goan but still manages to surprise you. Be prepared for their signature pork chops with BBQ sauce, tiger prawns in Goan rechado sauce and grilled Kingfish with a crust of salt, pepper and lime. Vegetarians can look forward to ratatouille with summer vegetables, baked feta with oregano and extra virgin olive oil. House-made cocktails made here use fresh juices and skip the syrup. Go for Tangy Tamarind or their Grape-based cocktail if you need that kick for dinner. Go here for decent cocktails and the music. Juhu can do with a Goan restaurant, so here it is.